Introducing new Fast Same Day Payments! We’re hugely proud to have helped over 3 million customers sell their stuff, with over £65 million paid out. Over the years, we’ve introduced lots of new stuff to make our service even better, including our FREE Courier Service, our Electronics Price Promise and our FREE Smartphone app. 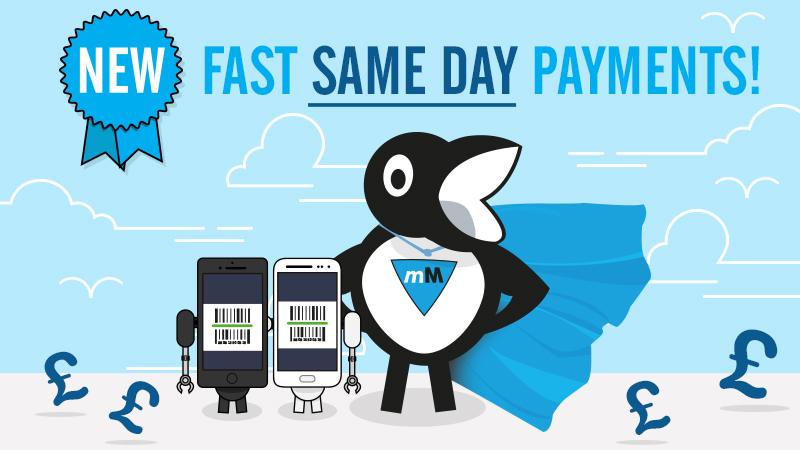 We’re delighted to introduce Fast Same Day Payments for all orders! When you place an order with musicMagpie from now on, we’ll issue payment on the same day we receive your stuff. If you choose to get paid by bank transfer, your cash will clear in your account on the next working day. We pay faster than any other site for your CDs, DVDs and Games! No other site will pay faster for your CDs, DVDs and Games. We’re the quickest, easiest and most trusted, and it’s completely FREE to send your stuff to us too – we even offer a free courier for all orders. Don’t spend ages saving up for that upgrade; just sell your current device with musicMagpie and we’ll pay as soon as we’ve checked your item, which means you can get your shiny new gadgets sooner. With our Price Promise, you can guarantee you’re getting the best price for your stuff too! We pay more, we pay fast and we buy far more products from phones to games consoles, iPad, iPods, Laptops and more! Why go anywhere else? The same great FREE musicMagpie service…but FASTER! It’s still completely FREE to get an instant price, send your stuff to us and download our app. Just get an instant price, pop your stuff in a box and send it. As soon as we have your items, we’ll issue your payment. The only difference is we pay quicker than ever! Whether you need a bit of extra cash before payday or just want to treat yourself, musicMagpie is now a fantastic way to get quick cash in your pocket and declutter at the same time. There’s no hidden fees; just sell your stuff and we’ll pay you on the day we receive it! If you’ve got unwanted CDs, DVDs, Games or Electronics lying around, give our new fast payment service a try – it really is the quickest and easiest way to make cash for your stuff! If you have any questions about our brand new fast payments, leave a comment below or get in touch on Facebook or Twitter. Otherwise, start selling your stuff and find out just how fast we are!